Phew! That’s was a summer season and a half……………, great guests, friends, and events, some hair-raising times and not a free night until now, October 9th. Delighted to meet and host Ann Roberts and her two friends for her 80th birthday in April. Ann is the daughter of Nelson Rockefeller, one time Vice-President of US and presidential candidate. 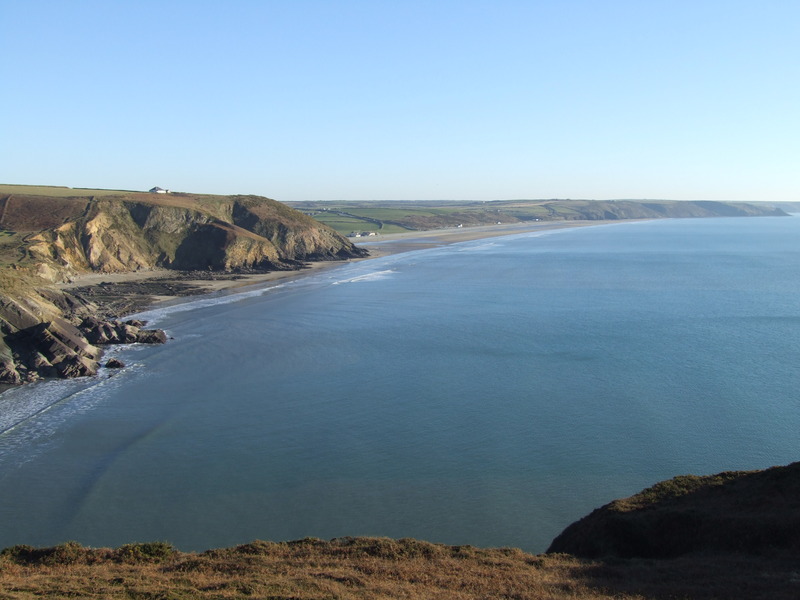 She saw the best of Pembrokeshire with the help of our guide, Andrew Dugmore, from Pembrokeshire Paths. We took her to Christina Shand’s garden, Dyffryn Fernant and to Druidstone, twice, for a feast and a concert (she loved Harry Bird and the Rubber Wellies). And her modest birthday party with us – one cupcake and candle and a fiddle and a dance, to accompany the Happy Birthday! Such a delightful lady who really loved her stay with us and was a very appreciative guest. Julian ventured some politics and enjoyed hearing her forthright progressive views on immigration, the Tea Party and the environment She appreciated our own environmental initiatives here. A few months afterwards the Telegraph reported that The Rockefeller family (wealth built by John. D. Rockefeller on oil) were reducing their investments in fossil fuels to less than 1%, disinvesting some $800m from oil and gas in favour renewable technology. In July David Thomas from Wales via Denmark came with his family and played some great fiddle and subsequently sent Julian his whole collection of Danish music. More fiddling (well not really) came from Jennifer Pike, the youngest ever winner of the BBC Young Musician of the Year, aged 12! Now in her early twenties she was performing Brahms at St. Davids Cathedral festival in July and we were able to listen from below as she rehearsed on a £14m violin – a great privilege. Chris Elliot came in June. He is walking the entire coast of the UK – one week a month and expects to finish in 2022! 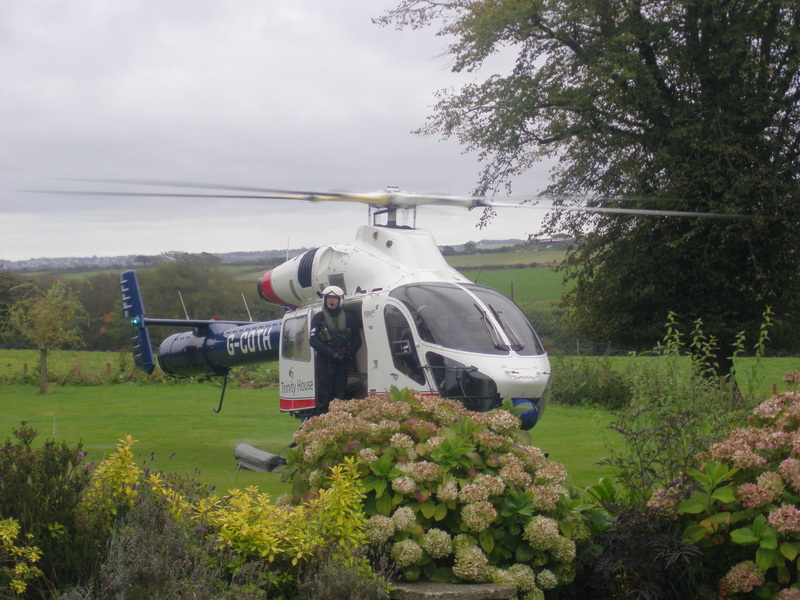 And another guest, Terry Jacob, was cycling the same in August–his MS not withstanding. The marquee was well used this year – a 40th birthday, a wedding in July, our grandson’s birthday , our festival. The whole Langston family were here for that, so great to have their support still. (previous owners). 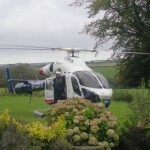 Some guests return inadvertently taken keys in the post but inSeptember this guest delivered his by helicopter! They were flying around carrying out maintenance for the lighthouses. No harm done so now we know it can be done. In August we had waited, with excited anticipation by the grandsons, peering out of the top windows for hours beforehand, but with apprehension by us, for the landing of Steve Perez rally driver, and founder of Global Brands and driver for the Kick Energy Rally Team. He was driving at Brawdy the next day. But the weather led to the flight being abandoned and the party arriving by car. 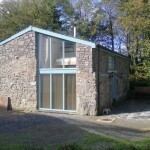 August 19th saw our 10th anniversary of being here and a slight chill in the morning air led us to put the heating on. You remember that last week in august when we put the shorts away, and began to prepare for winter ? Then September was the warmest on record and the heating not to be needed again until October 9th. This must have been the last vibration between two pipes that had rubbed along happily together for the previous 15 years. Water dripping relentlessly onto the carpet at the entrance to dining room. Breakfast ensued for 20 or so people as Julian rushed between the toaster and the small container wedged under the offending pipes catching the drips and filling up every minute or so. It was a trade off between burnt toast and overflowing container. Plumber and builder on site by 9 , all fixed by lunchtime, and we could have a laugh about it, until the bills arrived at least.